Benedict Cumberbatch, Keira Knightley, Matthew Goode et al. DVD: 110 min., Blu-ray: 114 min. The first thing I have to say re this movie is that it is not a patch on the BBC TV movie 'Breaking the Code', starring Derek Jacobi as Alan Turing from 1996/7. The second thing is that I have never liked Benedict Butterscotch, or whatever his mad name is, and cannot really believe him in the role. 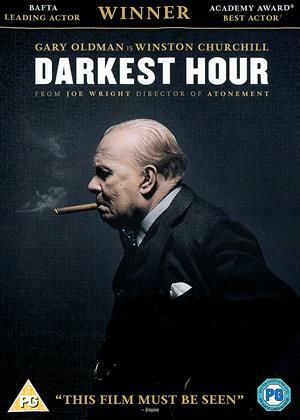 The third thing is that this is a movie which is sheer fantasy, not accurate biography, and tells blatant lies about Britain during World War II - not that the intended US and international audience will care. But I do. No-one 'starved' during WWII in the UK when bread was never even rationed - so goodness knows where the film makers got the footage of a woman eating out of a dustbin! In fact, rationing ensured everyone was well-fed - and the poorest better fed than in the 1930s; indeed, people had a more nutritious diet than many do today. Another massive lie is that the US gave help and food to the UK. NO! The USE only LENT Britain money which it could then use to buy stuff from the US to boost the American economy. The UK did not pay off this debt until 2006! Unlike with Germany and Japan, Great Britain was never GIVEN a penny or a cent by the USA. Another big issue with this film is the use of modern words when this is supposed to be 1940. Listen - NO-ONE used the word 'smart' to mean bright or clever in the 1940s; this usage did not become common till the 1990s! Moreover, a 'professor' in the UK is NOT just a lecturer as in the US. The facts here are no such thing - and as I know a lot about Turing I can say with confidence that Bletchley Park's experts were ALL male, so NO, there was no pretty genius Keira Knightly character in real life. The politically 'correct' pro-feminist pro-gay polemic and plots here are irritating. 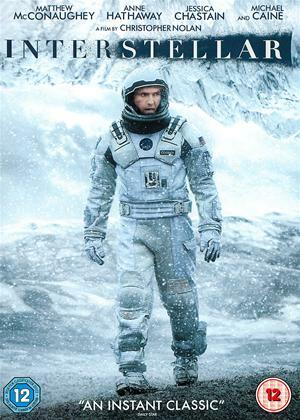 The fabricated protagonists and obstacles that face Turing in this movie annoying to anyone who knows the truth. This screenplay won the Oscar in 2015. That says a great deal about the Academy Awards, frankly. It did not deserve the honour at all. 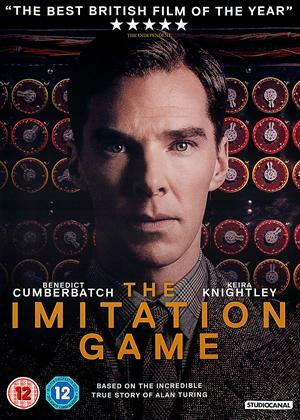 Having said this, if you can look past the Hollywoodisation and lies than infest this movie, then it is an average watch - and will no doubt appeal very much to all the millions of ignorant people worldwide who know nothing about Turing. And yet, that these people think that Britain was starving during the war and saved by the US of A is a disgrace. Hollywood is always doing this - it did it with U571 which showed Americans finding an Enigma machine on a U boat (which the British actually found) and it did it with Argo, which falsely showed the Brits refusing to allow people access to their embassy (when in reality they did!). This is the extraordinary story of an extraordinary man who, depending on which historian you ask, prevented WWII from lasting until at least 1947 and possibly 1949, thus saving countless millions of lives, and may even have been personally responsible for the defeat of Hitler. Which he did by designing and building the very first electronic "universal machine", a gadget we nowadays call a "computer". And by the way, the software of the device you're reading this on uses algorithms created by Alan Turing, so it's still got some machine DNA from its first progenitor, the huge steampunk contraption shown in this movie. So, not too shabby for one lifetime! On the downside, Alan Turing was a shy, awkward man who nowadays would be diagnosed with a disorder somewhere on the autistic spectrum. His wartime work was so secret that he was denied any kind of recognition during his lifetime. And that lifetime was tragically short. As a gay man in a country where being actively gay was legally termed "gross indecency" and punishable by drastic prison sentences, he ended up being punished so barbarically by the authorities that he took his own life at the age of 41. So a bit of long overdue appreciation for a genius who greatly changed the world for the better but was treated with abominable cruelty and almost written out of history is the least we can do. On the plus side, not only is this true story both astonishing and tremendously important, but Benedict Cumberbatch is clearly very committed indeed to the role and gives it everything he's got. On the downside, this movie oversimplifies certain aspects of the story a bit too much. Obviously they had to if they didn't want the movie to be 8 hours long. But they go a little too far. Obviously Alan Turing didn't build the first computer all by himself with minimal help from a handful of others, and the whole Bletchley Park operation didn't revolve entirely around six people, only one of whom truly mattered. There were a great many others involved at all levels, including my grandfather. But where it really goes off the rails is in trying to put absolutely everything on the shoulders of the hero. It's true that horribly difficult moral choices had to be made, but it's absurd to suggest that somebody with Alan Turing's job would somehow end up having to make all those command-level decisions himself. And the manner in which he makes a particularly difficult and tragic decision involves a coincidence so gigantic that what ought to be a pivotal scene becomes utterly unbelievable. The other problem is that every emotional conflict is turned up to 11. A movie entirely about some people trying to make a clunky prototype computer work properly would be very dull indeed, but compensating for that by having everybody hate everybody else so much that they frequently yell at each other, have fist-fights, or even physically attack the computer which Turing has to desperately shield with his body, until they (mostly) end up as buddies after all, seems excessive. So overall, a worthy but slightly dumbed-down and excessively melodramatic attempt to tell a story that genuinely needed to be told. It tries too hard, but its heart's in the right place. And it's a must for Benedict Cumberbatch fans who want him see pull all the stops out. This film shows how option change in a short time. Not knowing the facts behind this Bletchley Enigma story, the film provided an absorbing narrative with a strong cast. 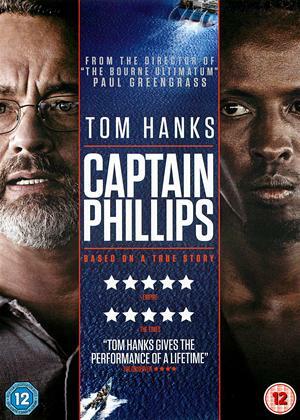 The irritation of a previous, knowledgeable reviewer is understandable; the credits did say 'based on a true story' which some might feel excuses some of the liberties taken with the facts. Overall,though, it's a film worth watching. 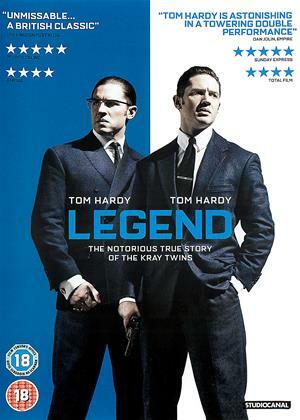 We loved everything about this film: good story; acting and moral lessons. I wouldn't know and don't care if it's not perfectly historically accurate - no film is - just enjoy it. 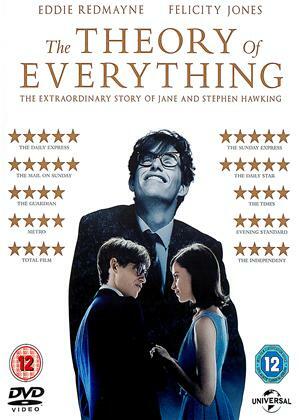 A really good film - what cinema is all about! Best I've seen for a long time. There are only two possible reactions to this film: either you will find it an engrossing account of one of the great true stories of WWII, or you will find it a slick and shallow fudge that plays fast and loose with the truth. Of course, it is actually both. The film takes tremendous liberties with the truth, and makes everything very glossy and wonderful, but it also tells a cracking story of real substance and historical importance. Personally, I prefer to see its virtues. It is a story everyone should see, and so what if it's been "Hollywood-ized". It's informative and entertaining, full of star turns, and goes some way to redeeming the reputation of a man totally shafted by the very country he undoubtedly did more than almost anyone else to save. Involving film well acted, and pretty much to events as they happened. Just seen Rain Man again, and shades of similar characteristics in both the main characters for sure. Very different individuals are what England excels in. We produce characters of unique abilities throughout history and Turing was one who most people never heard of. Possibly saved 14million lives by breaking enigma. Invented the computer. Nodody knows his name, because the establishment were probably embarrassed, at that time by his sexuality, and later by the way he was treated. Chemically castrtated, and driven to suicide. I'm inclined to agree with the first reviewer insofar as the historical inaccuracies/oversimplifications known to me undermined my confidence in other aspects of the story, including the behaviour of other characters such as the character played by Charles Dance, a two dimensional character to say the least, (not the fault of Mr Dance). I thought Benedict Cumberbatch was good although no better than others in a strong cast and Turing's treatment and ultimate fate were handled better than the enigma related episode. p.s. can the Times crossword be done in that time? It would take me nearly 6 minutes if I had the next edition in front of me! The idea that British military officers would talk to an employee in such a manner is just fantasy. Likewise, the portrayal of Alan as an extremely awkward mad individual is also just false. Such an individual would not be employed on a Top secret project. Alan was not a codebreaker at Junior School. Furthermore the Directing and Acting was Poor. Such Filmography would struggle to make it on TV never mind a Hollywood Movie. However, Kiera's Acting was professional. Two hours would be better spent watching the 2001 movie 'Enigma'. Kate Winslet's acting is just as good. The 2001 Movie is a more accurate reflection of War Time Brittan and the effort of the Code Breakers. The Enigma was not defeated by Rotary computing machines. The British had Silicon Transistors during the War. We did not have integrated circuits but we did have individual silicon transistors. It was these silicone transistors that could switch thousands of times a second that defeated the enigma and not rotors that switch once a second. This is one of the few inaccuracies that the 2001 movie 'Enigma' makes. One of the most talked about new releases, The Imitation Game, is based on a true story, and adapted from the novel by Andrew Hodges: ‘Alan Turing: The Enigma’. It’s almost everything you could want from a film, and I’m not the only one to believe that. The film focuses on Alan Turing, a cryptanalyst who, along with his team, must hurry to create a machine to break the Nazi German code. If they succeed, they will save many lives. There was a time when the greatest war heroes were those that were in the trenches, on the battlefields, and inside the tanks. Of course they shouldn’t be forgotten, but, in following with societies fascination with cute, intelligent, men, we are shown that not every war hero was on the front lines. As with any film based on real-life events, there are always going to be those who vehemently deny its content and contend it happened differently. I don’t know how much of this is true for this film - whether Turing was a leader, or gained most of his material from Poland scientists - but this film is focusing on Turing, and so will not turn down every other path. As I’m sure everyone knows, Benedict Cumberbatch is a phenomenal actor. The way he dives into these many-layered characters is unbelievable, and the film would have been very different without him. Like the other characters tried to convince Cumberbatch’s Turing, it was a group accomplishment. Keira Knightley, Matthew Goode, Charles Dance, et cetera, all brought their A games as well; surely they knew it’d be a very popular project. The technical aspects were also brilliant: the shot of the little children standing in their gas masks is one you can’t forget; the stunning visuals and realistic effects; the smart dialogue; and the engaging story. The crew did a fantastic job at making everything look so authentic. Working with the visual effects department to match-up the bombed Britain with their constructed sets was flawless. The score was also beautiful and moving, recorded by a professional orchestra. I don’t think there has been a year when we haven’t had a war film. The recent season has been very positive for these films, with The Imitation Game joining the likes of Unbroken, The Railway Man, Fury, and more. As we can see, the latter deals with the physical fighting, the middle two deal with the mental horrors of war, and this film shows the intellectual feats. It’s important for everyone to hear these true stories, and understand how much work and effort went into ending the war. The film has received enormous praise from critics and audiences. It’s for those that love period pieces, war, and an emphasis on emotions. We do obviously see the action and destruction, but it’s not a shoot-em-up war epic. Its mature content won’t make it appropriate for younger audience members, but it’s one that I recommend putting aside for when they are older. It’s an important part of history, and one that was performed brilliantly.